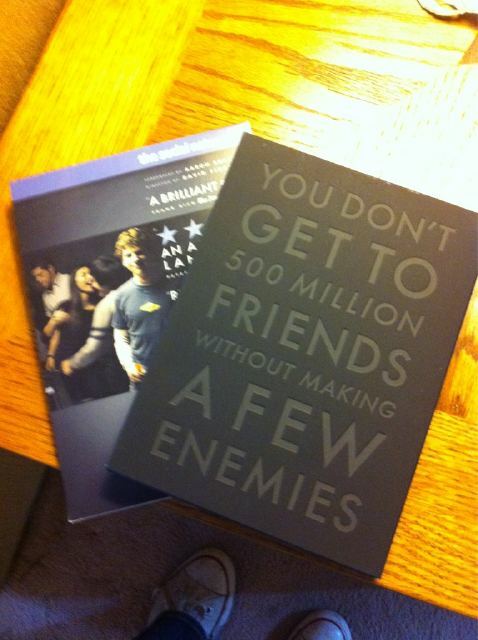 I’m delighted to say I FINALLY bought The Social Network today at Target. I’m also delighted that I’d actually heard of and seen this year’s Golden Globe winner for Best Picture. Usually I’ve never heard of most of the movies nominated, but this year was different and made the show much more entertaining to watch. Now it’s time to force my parents to watch it tonight. They’re not big on going out and buying or renting movies themselves, but I know they’ll love it; they’d be crazy not to! When I first saw the preview for this movie, I honestly thought it looked completely silly and ridiculous and stupid. But as the trailer began to play more and more during every TV show I seemed to watch, it started growing on me. I would have eventually seen it anyway, as Ashton Kutcher is my childhood crush, therefore my crush forever. I can’t not see his movies. As far as Natalie Portman goes, I recently saw Black Swan (which was quite different from this one) and fell in love with her and her unfair beauty. I’m a little late on that train, but oh well. Overall, I enjoyed the movie. It was everything I thought it would be, cheesy with a predictable fairy tale ending. I saw it with my sister and my best friend, and it was a classic chick flick experience. We knew how the movie would end the whole time, but it didn’t stop us from melting at Ashton saying, “If you come any closer, I’m never letting you go.” etc. etc. I doubt she’ll nab a Golden Globe for this one, but Natalie Portman is still beautiful and talented… and lucky for getting to work with Ashton Kutcher. Ha! The movie was funny, cheesy and simple… but overall enjoyable and made for a good Saturday night!